Book Now for Guaranteed Seating. The trainer for this series, Donna Johnson, is an internationally recognized trainer in the addiction and criminal justice fields. 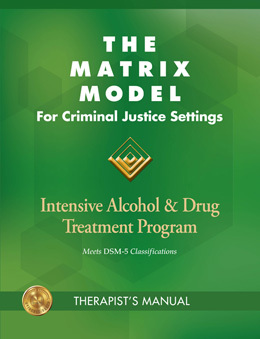 She is a trainer and consultant for the Matrix Institute on Addiction in Los Angeles and author, trainer and consultant for Hazelden Betty Ford Foundation. She provides training on a variety of topics on addiction, co-occurring disorders, integrated care and criminal justice. This series offers professionals the most recent treatment practices that are cost-effective. Training Location: View Point Health Systems 175 Gwinnett Drive Lawrenceville, Ga.
With legalization of cannabis in various forms it is becoming an area of debate and discussion. Often professionals and others have misinformation about these drugs. This training will provide information on the differences in cannabis, medical marijuana and cannabidiol (CBD) and will also provide information on the different ways the substances are used and the latest information including vaping. This session will also address recent disorder called cannabinoid hyperemesis. Great training to become more informed on a challenging and timely topic. This training will sell out. Register early! Behavioral science experts believe that all entities capable of stimulating a person can be addictive; and whenever a habit changes into an obligation, it can be considered as an addiction. Research also suggest that there are a number of similarities as well as some differences between drug addiction and behavioral addiction diagnostic symptoms. Process addictions come in many forms, and they are often harmful. As a result, they should be addressed with behavioral therapies. Likewise, substance abuse and addiction can bring great damage to those who suffer from them. Process addiction occurs when a compulsion to engage in an activity or behavior despite the negative impact on the individuals mental and physical functioning. Gaming, gambling, shopping, exercise to name a few. When substance abuse and process addictions occur together in the same person, comprehensive treatment to address both conditions is necessary. This session will provide information on the process of addiction for both substance use and process addictions and most recommended treatment. Research indicates that many individuals presenting for treatment for a substance use disorders also have a history of trauma. Trauma Informed Care is an organizational structure and treatment framework that involves understanding, recognizing, and responding to the effects of all types of trauma. Trauma Informed Care also emphasizes physical, psychological and emotional safety for both patients and providers, and helps survivors rebuild a sense of control and empowerment. This training will also teach the principal components of the Seeking Safety Model used to treat those with a substance use disorder and trauma. More and more professionals are utilizing Tele therapy via smartphone, internet and other electronic means to assist in the delivery of services. This training will look at ethical and legal issues in this area. We will also review the requirements of federal and state laws specific to addiction treatment. This training will provide detailed information on how professionals can provide services face and face and via teletherapy and comply with all state and federal laws relevant to substance use disorders or when the issues are co-occurring. This training will provide new and updated information for all professionals. National surveys have long documented the high prevalence of drug abuse among people diagnosed with psychiatric disorders, such as ADHD and PTSD. Supported research focusing on genetic and gender vulnerabilities, similar brain regions involved in co-occurring disorders, and environmental and developmental influences. New drugs for trauma will also be discussed. Professionals must see how these trends will impact not only services but how treatment is delivered in the future. Working with substance use disorders also requires professionals to address other disorders common with substance use disorders. This training will focus on addiction, personality disorders and trauma and will provide information on assessment and Seeking Safety We will also discuss new information around brain- based therapy and how this approach can provide treatment alternatives. Personality disorders have historically been challenging for professionals. This training will discuss ways to reframe personality disorders and recommended treatment modalities. Trauma and assessment and treatment models will also be discussed and featured. One of our most popular trainings updated for 2019. With legalization of cannabis in various forms more and more it is becoming an area of debate and discussion. Often professionals have misinformation about these drugs. This training will provide information on the differences in cannabis, medical marijuana and cannabidiol (CBD) and will also provide information on the different ways to administer the drugs and the latest information on these substances including vaping. This session will also address recent disorder called cannabinoid hyperemesis. Great training to become more informed on a challenging topic. This training will sell out book early! This training will assist professionals working in all areas of health care in understanding how to utilize ASAM Patient Placement Criteria. This tool is utilized not only by addiction professionals in the treatment planning process but also by insurance companies, manage care companies, and private and public agencies in the delivery of addiction services. The training will review the fundamentals and how to utilize the criteria and dimensions of ASAM. Refund Policy: If you are unable to attend your session, you can substitute another training and date. Full refunds are no longer provided. Addiction, Criminality, and Co-Occurring Disorders. To register, please call Donna Johnson at (770) 714-7605 or register online. We Bring Evidence-Based CE Training to You!